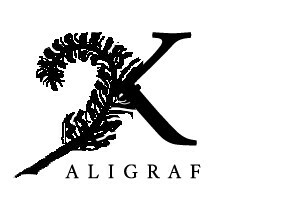 Calligraphers' Shop is a part of Kaligraf Co. established in Cracow, Poland. Calligraphers' Shop is a leading supplier of calligraphy supplies: calligraphy pens, dip pens, nibs, ink, paper and parchement that are shipped to many countries in Europan Union as well as other countries. You can contact us with queries by email (sales@calligraphers.eu) or telephone. You may send us emails in English, German, French and Polish. 1. Browse our Catalogue, and click on any items that you wish to buy and put them into the shopping cart. 2. After you have finished your selection, click on "Checkout" icon and you will be asked for a few details that we need to be able to process the order. 3. Print out your Order Confirmation. 4. We accept payment by PayPal, bank transfer and Credit and Debit cards (Visa, MasterCard). Please email us if you have any queries. 7. A receipt will be sent with your goods. Shipping & Handling charges will automatically be calculated for you. Depending upon parcel size and your location, we offer a choice of services and you will asked to select your preference during checkout. Small packets can be sent by Business Letter (no ink and no glass, up to 350 g), other packets are sent as Business Package by Poczta Polska. In Czech Republic and Slovakia shippings can be delivered to the packstations. Please allow 3 business days for your order to be despatched, although usually it is quicker than this. It is quite rare but if your item is not in stock, we will back order for you. You will always be emailed with the option to cancel your order if you would rather not wait. We hope you will be completely satisfied with the goods you purchase from us. However if any item you receive is not as you expect, please return it to us and we will refund your money. You may cancel the order within 15 days of receiving the goods without giving a reason. Return the goods to us unused with a cover note and we will refund the cost of the purchase. You must pay the return postage. Damage claims will be accepted if they are advised within 28 days of the purchase date and we will either replace it or refund your money. Your statutory rights are not affected. We work hard at providing a professional and reliable service. If however, you have a complaint, then please write to the address given in 'Contacting Us' We promise to deal fairly, confidentially and quickly (within 5 working days) to any complaint you might have. We cannot improve our services if we do not know of any failings. You can contact us by email: sales@calligraphers.eu. All orders are to be paid in full before goods are despatched.